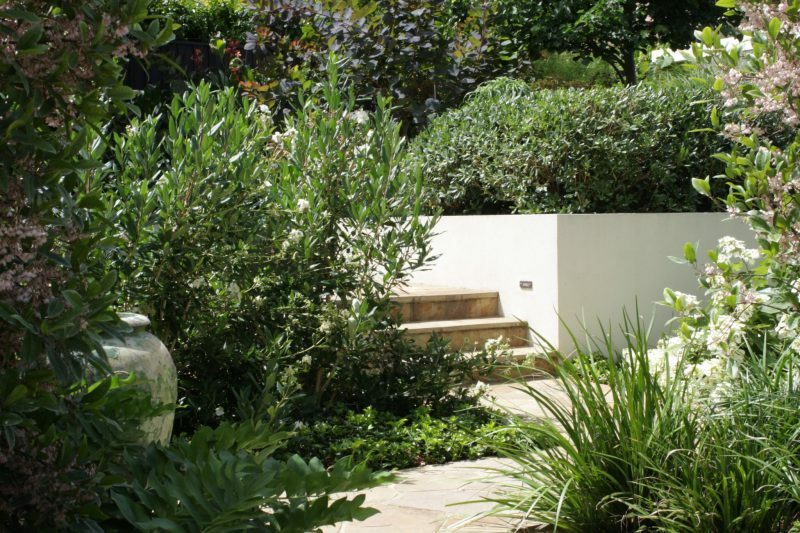 A large garden design for a charming 1930s Art Deco house in an established leafy suburb. 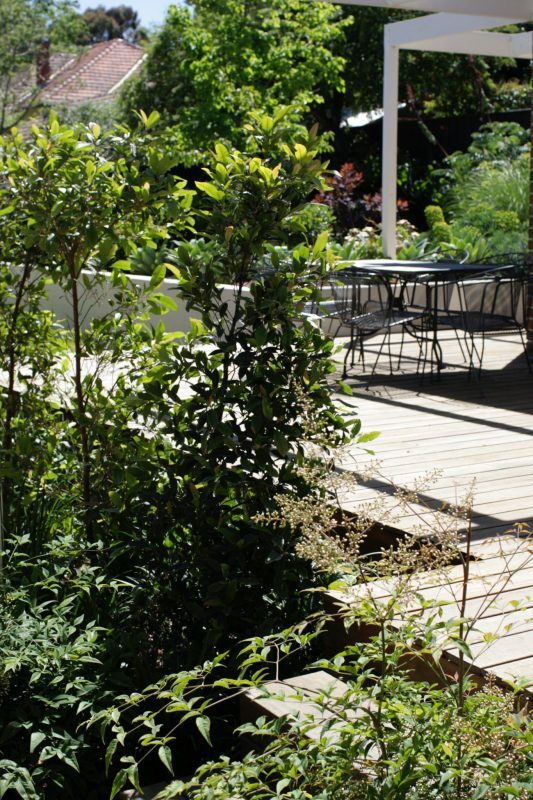 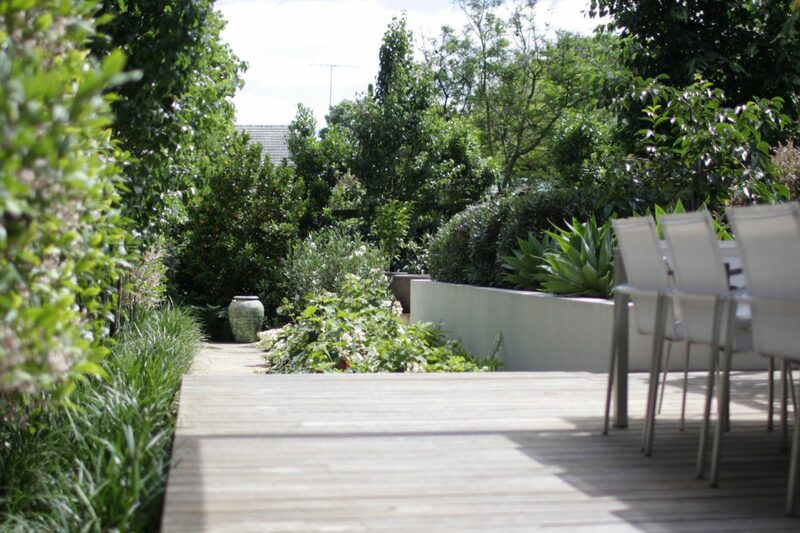 The garden needed structure, privacy and a gentle push into modernity. 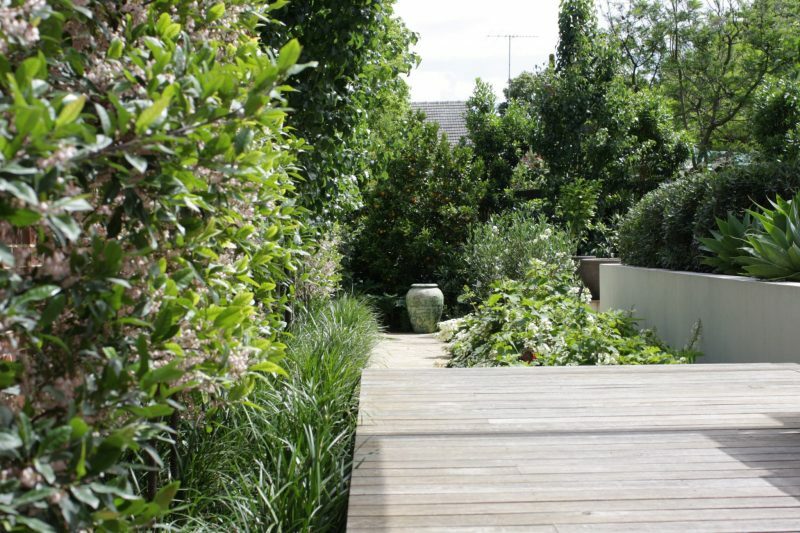 We have divided it into a number of functional open spaces: generous deck of Australian hardwood for entertaining, a private seating area to enjoy the sun, a concealed utilities area. 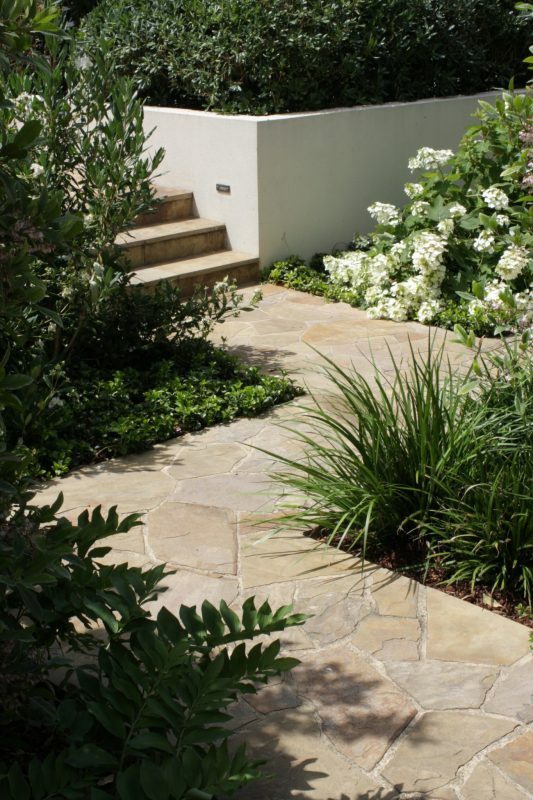 Castlemaine slate is chosen to complement the period of the house. 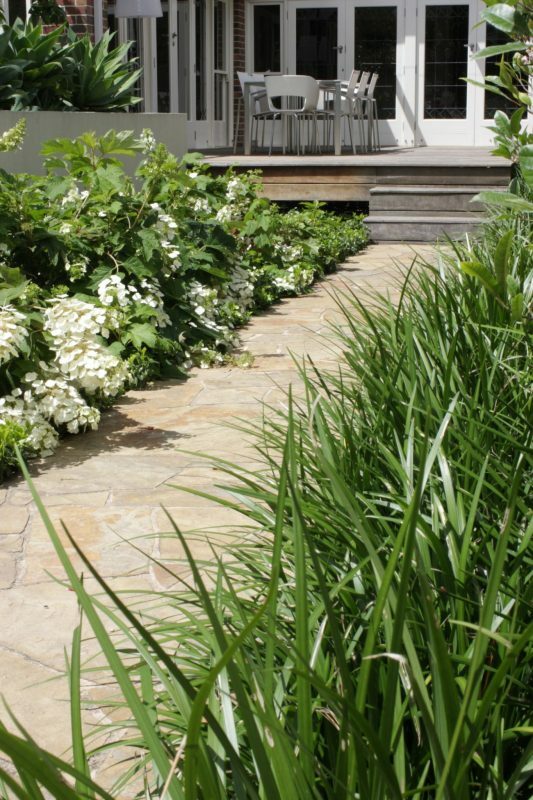 The clients have a passion for interesting and unusual plants so we were spoilt for choice. 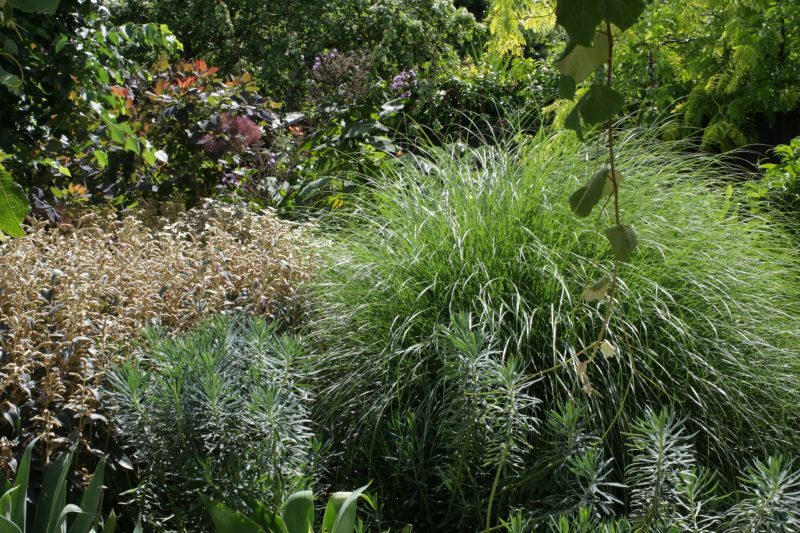 The result is a beautiful, functional and changing garden where no matter what season there is always something interesting to see.